HomeShop by CalendarChristmas DayHoliday MagnetsThe Original Bumper Sticker Magnet - 4" x 12"
The Original Bumper Sticker Magnet that started it all here in 1999. This is a high quality, white-face blank magnet material sized to be the backing for a bumper sticker decal that you already have. Place your sticker on this magnet, then place the magnet on your car. The 4" x 12" Bumper Sticker Magnet is great for honor student stickers, campaign political stickers and team stickers. Simply apply your bumper sticker to the magnet, trim to size with scissors and attach the magnet to your car or whiteboard at work. Easy on - easy off. Clever, huh? With these magnet sheets for bumper stickers you will never again have to permanently attach a bumper sticker to your vehicle! We also carry oval and round blank magnet made of same high quality material, see links below. Note: Shipping magnets is expensive but these prices include free shipping for orders of $40 or more, or flat $4.99 for smaller orders to USA addresses. but so far so good. Not sure if they'd stay on if applied to the side of the car as the corners aren't flush to the vehicle, but works on the back. 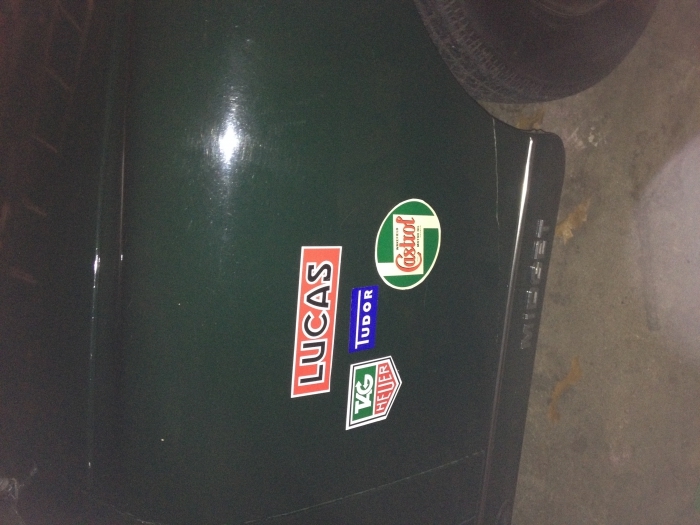 The magnets allowed me to display my bumper stickers without worrying about damage to my cars. I'm extremely happy with my purchase! Works just like it should. Good price. Best UsesI use them for racing decals. This way I can put them on my car fender, but take them off when I want a more subdued look. Love these folks... got my stuff very quickly! Good wide/tall flexible magnet. Perfect for bumper stickers. I bought four of these so I could place bumper-stickers on my car without having to worry about the difficulty of removing them later. Large enough for the larger size bumper stickers and easily trimable with an ordinary pair of scissors or craft-knife. A loss of about 1/2 star for a few minor nicks and some latent glue (easily rubbed off) in the white surface face of a couple of the stickers, but otherwise not an issue. Will definitely consider buying again. The best way to make a statement without messing up your car! The magnets arrived quickly and are exactly as described. A great product at a very fair price! Bumper Stick Magnets a Great Find! First bought some of these back in '08. Just got a new supply. Super solution to not having to otherwise get bumper stickers off one's bum(per). Reasonable price. Reusable item. What more can I say? I've told a lot of people about them over the past six years. This is just what we wanted to turn bumper stickers in to magnet bumper stickers. I love these, as I love bumper stickers but hate permanently adhering things to my car. I can also change up the bumper stickers so if I get new ones I can rotate them in without crowding.